Using IS-2062 Grade A, En-8, En-19, SS-410, SS-304, SS-316 or any other material as per your specification. As per IS-1367 Class 4.6, Class 5.6, Class 8.8, Class 10.9, A2-70, A4-80. Cup Point with Knurling as per IS – 6094. 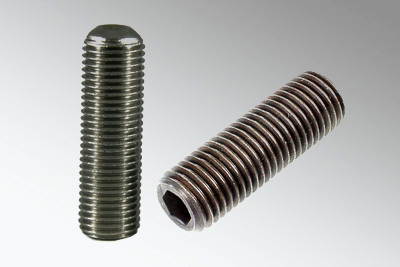 Other GREPLb Screws as per customer’s specifications.